It's that time of the year again, time to put up the Christmas tree, play your favourite festive song, write the never ending presents list and plan how you'll be spending Christmas Day. For most and certainly for me, December is the busiest month of the year. Office parties, shopping for a new outfit, picking out presents, festive gatherings, the list is never ending... and very time consuming. 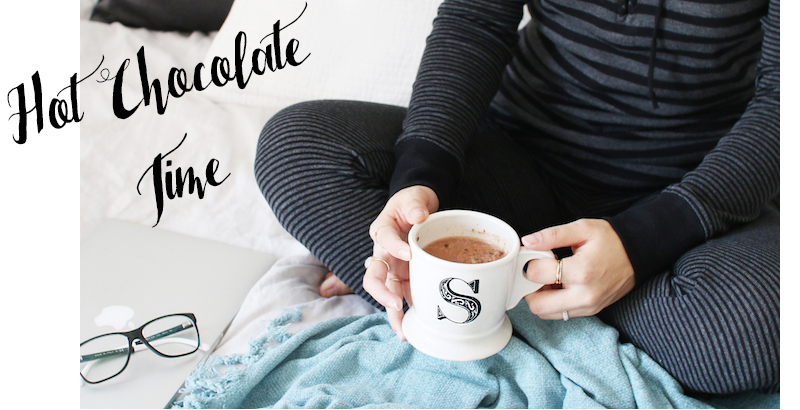 But Christmas doesn't have to take up all of your December, here are four ways to save time (and maybe some money) during this exciting yet stressful time - which means... more snuggles in bed and plenty of hot chocolate time. 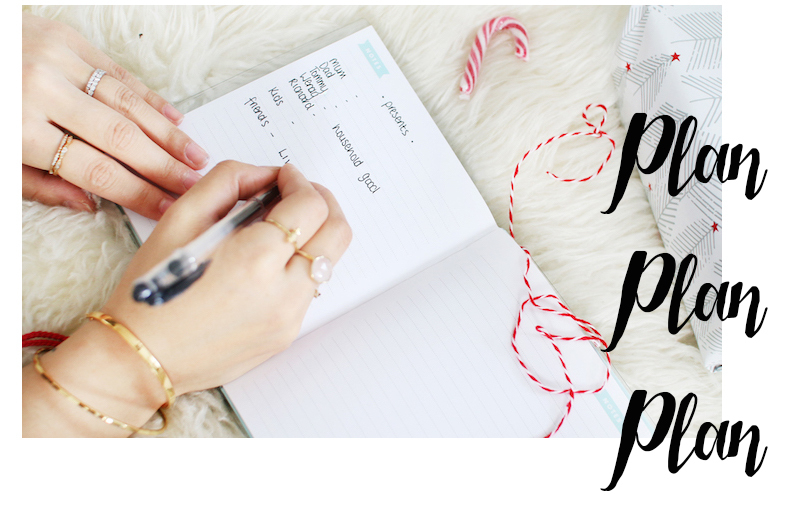 Before you head online or step foot to the shops, it's important to make a list. 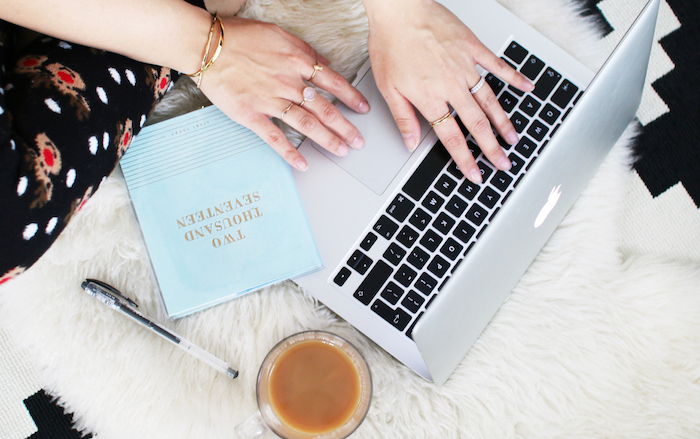 When you're faced with a multitude of brands and products, it can be very overwhelming and if you're like me, more than often it puts me off and I end up with nothing. So sit down, write a list of names then brainstorm their favourite brands/items/interest. This will narrow it down, give you the exact brands you need to look at and stop you wandering around like a headless chicken whilst asking 'do you think she'll like this?'. Instead of finding THAT car park space (quite impossible I know), queuing for the tills or even worse, being elbow bashed amongst the hustle and bustle - shop online. You'll be able to compare prices, see whether it's in stock or not and most importantly, do it whilst you're probably still in your PJ's, eating breakfast/dinner or catching up on some TV time. Shopping online is a no brainer really as it will save you so much time. The other morning I bought 8 presents in the space of 15 minutes. If thats not called time saving, I don't know what is! BONUS - Many brands offer a discount too if you sign up to their email system. Now that you have an idea of where to look and even better, if you know exactly what you need to buy - stock check it. If you do prefer to do it the traditional way and go outdoors for shopping then many online retailers now offer a option to check availability online. If this is not an option, give the store a quick call and if they do have it, kindly ask them to put it on hold. This will avoid dissapointment and more importantly save yourself some time. You know your friend or family member loves their beauty/technology/fashion, now pick a present with diversity. 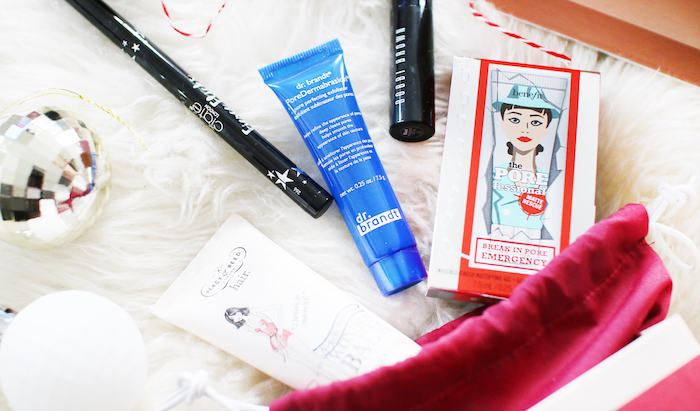 The Christmas Birchbox is a perfect example. You buy one present and receive five different items - any beauty lovers dream. I know I know, wandering the beauty counters during the Christmas period is pretty daunting, there's just too many things to choose from! The Birchbox will eliminate this problem plus It’s really affordable too, so won't break the bank. The Christmas edition contains a selection of beauty treats, one being a full size Ciate London eyeliner (which is worth more than the entire box alone) - all beautifully presented in a merry and bright red box. No need for wrapping here (that’s one hot chocolate time there) - plus afterwards, the empty box can be transformed into a keepsake storage box. 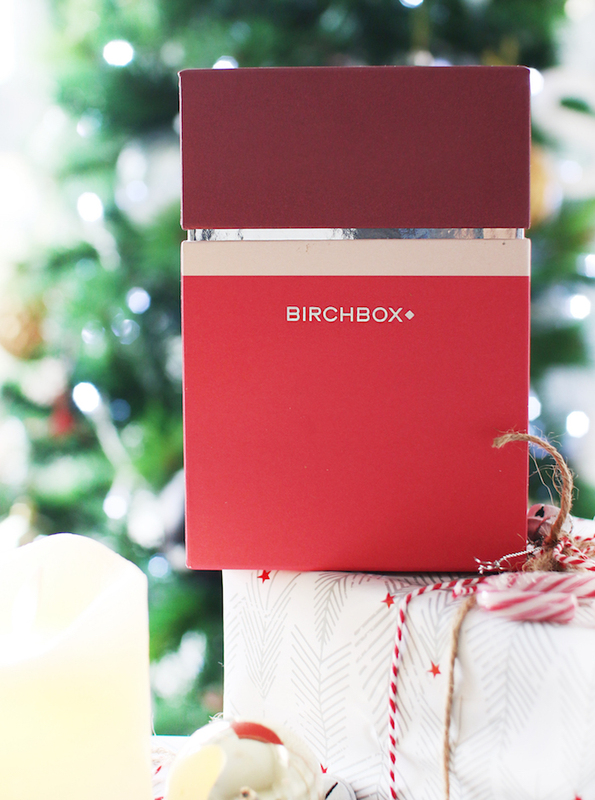 Birchbox is only £10 a box and available as a 3, 6 or 12 month subscription (with bigger savings to be had for longer subscriptions) - so pretty much, it’s the gift that keeps on giving! This is perfect for any age - a sister, daughter, mother or for a friend. I know my mother will certainly appreciate this! It's also the perfect secret Santa gift, there’s bound to be something in there that she will absolutely love – winner! Last but not least, avoid the weekends (if you can). Weekends during December are manic. If you can, shop online during your lunch break or hit the shops after work. Many shops open until later hours this month and even though it may still be full of shoppers, it doesn't compare to the weekend which is another level of busy. Those were my top tips for saving time this Christmas! Honestly, it's only mid-December and I already have all my presents sorted. I have NEVER EVER done so well before. I'm usually the one running around the shops on Christmas Eve. All thanks to thoughtful planning and the postman - who probably hates me by now. i dont have many people to get presents for so its easy for me. great list btw!